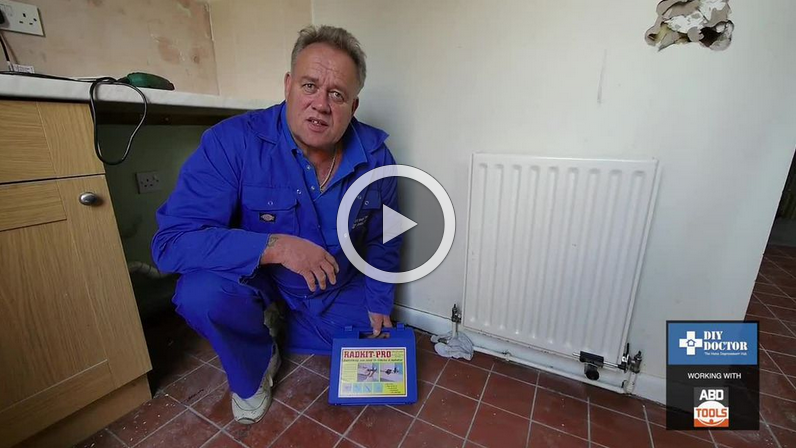 Blog Home > Plumbing > How do I decorate around a Radiator? How do I decorate around a Radiator? Answer: It is better to remove the radiator before you decorate. Then you can simply put it back again afterwards. It isn’t all that complicated to remove a radiator and anyone with DIY skills should be able to manage it. If you take a radiator off the wall it gives you a chance to check that it is clear of sludge and you can even give it a good old clean before it goes back. If it is corroded then then you might as well replace it, and if you have a single radiator and it never feels quite warm enough in the room you could replace the existing radiator with a larger one or a double radiator. If you use a clever little device from Radkit (the Radkit Pro) you don’t even need to worry about spilling dirty water all over your carpet. Check out the DIY Project on our main site where you will find a tutorial video on using the Radkit Pro. Essentially radiators are linked together by pipework that forms a loop out of the boiler on one side and leading back to the boiler on the other side. Each radiator has two valves; on one side letting water into the radiator and on the other letting water out. 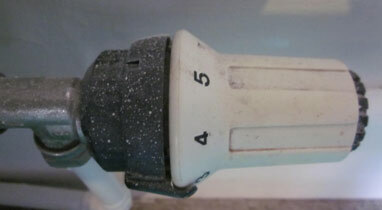 A thermostatic radiator valve (TRV) controls the temperature given out by an individual radiator on the run. 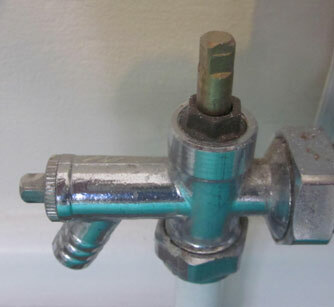 A Wheelhead valve allows you to turn the spindle to turn the flow of water to the radiator on and off, and a Lockshield valve requires a spanner or wrench to open and close it, and a Lockshield valve is usually covered by a plain plastic cap. Take off the lockshield cover (sometimes you need to unscrew a small grub screw to do this). Use an adjustable spanner to turn it clockwise as far as it will go to close the valve. Turn the wheelhead valve clockwise as far as it will go. Place a paint tray or some old towels down on the floor under the valves to catch the water from the radiator. Holding the valve in place with an adjustable spanner, undo the nuts either side of the radiator between each valve and the radiator using another adjustable spanner. (Turn the right-hand one away from you and the left-hand one towards you). Do not allow the pipes to bend. If they kink they are likely to leak. 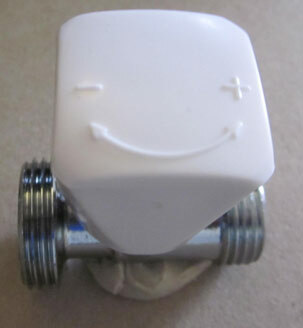 Undo both the nuts all the way (they will come away from the valve but will stay in the radiator). Pull the valve gently away from the radiator and place your finger or thumb over the hole as quickly as you can to reduce spillage. You can prevent any further water spilling out by turning the radiator upside down so the valves are at the top. Take it outside to empty it. See our product review on using the the Radkit Pro to make this job easier and cleaner.